When you deliver content to a large global audience, it's critical to ensure the optimized delivery of your content. Azure Content Delivery Network (CDN) can optimize the delivery experience based on the type of content you have. The content can be a website, a live stream, a video, or a large file for download. When you create a CDN endpoint, you specify a scenario in the Optimized for option. Your choice determines which optimization is applied to the content delivered from the CDN endpoint. Optimization choices are designed to use best-practice behaviors to improve content delivery performance and better origin offload. Your scenario choices affect performance by modifying configurations for partial caching, object chunking, and the origin failure retry policy. This article provides an overview of various optimization features and when you should use them. For more information on features and limitations, see the respective articles on each individual optimization type. When you create a CDN endpoint, the Optimized for options can vary based on the type of profile the endpoint is created in. Azure CDN providers apply enhancement in different ways, depending on the scenario. General web delivery. This optimization is also used for media streaming and large file download. Dynamic site acceleration from Microsoft is offered via Azure Front Door Service. Microsoft recommends that you test performance variations between different providers to select the optimal provider for your delivery. When you create a CDN endpoint, select an optimization type that best matches the scenario and type of content that you want the endpoint to deliver. General web delivery is the default selection. For existing Azure CDN Standard from Akamai endpoints only, you can update the optimization option at any time. This change doesn't interrupt delivery from Azure CDN. In an Azure CDN Standard from Akamai profile, select an endpoint. Under SETTINGS, select Optimization. Then, select a type from the Optimized for drop-down list. You can optimize the CDN endpoint for one of these scenarios. General web delivery is the most common optimization option. It's designed for general web content optimization, such as webpages and web applications. This optimization also can be used for file and video downloads. If you are using an Azure CDN Standard from Akamai profile, select this optimization type if your average file size is smaller than 10 MB. Otherwise, if your average file size is larger than 10 MB, select Large file download from the Optimized for drop-down list. If you need to use the endpoint for live streaming and video-on-demand streaming, select the general media streaming optimization type. Media streaming is time-sensitive, because packets that arrive late on the client, such as frequent buffering of video content, can cause a degraded viewing experience. Media streaming optimization reduces the latency of media content delivery and provides a smooth streaming experience for users. This scenario is common for Azure media service customers. When you use Azure media services, you get a single streaming endpoint that can be used for both live and on-demand streaming. With this scenario, customers don't need to switch to another endpoint when they change from live to on-demand streaming. General media streaming optimization supports this type of scenario. For Azure CDN Standard from Microsoft, Azure CDN Standard from Verizon, and Azure CDN Premium from Verizon, use the general web delivery optimization type to deliver general streaming media content. For more information about media streaming optimization, see Media streaming optimization. Video-on-demand media streaming optimization improves video-on-demand streaming content. If you use an endpoint for video-on-demand streaming, use this option. For Azure CDN Standard from Microsoft, Azure CDN Standard from Verizon, and Azure CDN Premium from Verizon profiles, use the general web delivery optimization type to deliver video-on-demand streaming media content. If the CDN endpoint primarily serves video-on-demand content, use this optimization type. The major difference between this optimization type and the general media streaming optimization type is the connection retry time-out. The time-out is much shorter to work with live streaming scenarios. For Azure CDN Standard from Akamai profiles, large file downloads are optimized for content larger than 10 MB. If your average file size is smaller than 10 MB, use general web delivery. If your average files sizes are consistently larger than 10 MB, it might be more efficient to create a separate endpoint for large files. For example, firmware or software updates typically are large files. To deliver files larger than 1.8 GB, the large file download optimization is required. For Azure CDN Standard from Microsoft, Azure CDN Standard from Verizon, and Azure CDN Premium from Verizon profiles, use the general web delivery optimization type to deliver large file download content. There is no limitation on file download size. For more information about large file optimization, see Large file optimization. Dynamic site acceleration (DSA) is available for Azure CDN Standard from Akamai, Azure CDN Standard from Verizon, and Azure CDN Premium from Verizon profiles. This optimization involves an additional fee to use; for more information, see Content Delivery Network pricing. Dynamic site acceleration from Microsoft is offered via Azure Front Door Service which is a global anycast service leveraging Microsoft's private global network to deliver your app workloads. DSA includes various techniques that benefit the latency and performance of dynamic content. Techniques include route and network optimization, TCP optimization, and more. You can use this optimization to accelerate a web app that includes numerous responses that aren't cacheable. Examples are search results, checkout transactions, or real-time data. 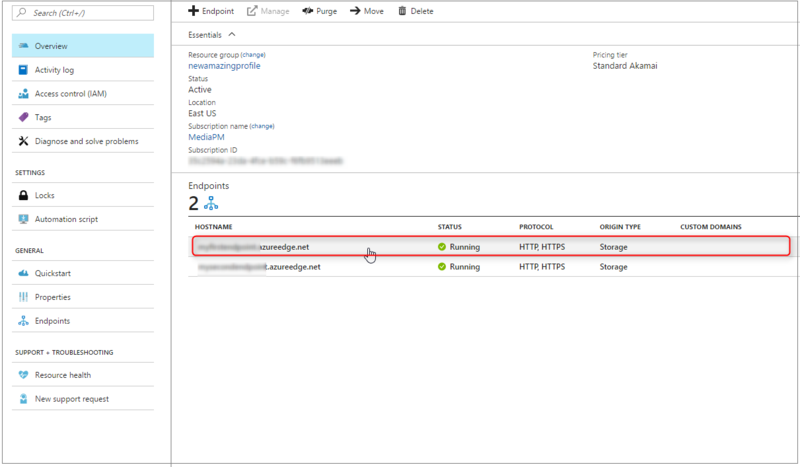 You can continue to use core Azure CDN caching capabilities for static data. For more information about dynamic site acceleration, see Dynamic site acceleration.